Korea is emerging as one of the best meetings destinations with its excellent infrastructure, easy accessibility, and a variety of offerings including food, nightlife, entertainment. Korea has 11 MICE cities where each region has a specialized industry are are fully equipped with state-of-the-art convention facilities and unique attractions. Organizers can choose the destination that best suits their event’s needs or preferences. Below are three destinations to give you a great head start to discovering Korea as a meetings destination. Seoul, the capital city of Korea, is the center of politics, economy, culture, and industries. For four consecutive years, Global Traveler recognizes Seoul as the “World’s Best MICE City”. Without a doubt, Seoul is abundant of venues, attractions, and experiences. Located in Gangnam, COEX Convention & Exhibition Center is Korea’s venue of choice. It hosts over 2,000 separate meetings and events each year. COEX is also renowned for hosting G20 Seoul Summit in 2010. Besides places for business, the complex houses 5-star hotels, one of Asia’s largest underground shopping mall, and a city airport terminal. The world’s 5th tallest building, Lotte World Tower, and Dongdaemun Design Plaza (DDP) designed by world-renowned architect Zaha Hadid, are also famous for being the signature MICE venues of Seoul. A main gateway to Korea, Incheon boasts of the best accessibility thanks to the world-best Incheon International Airport and the Port of Incheon that is at the heart of the region’s massive distribution network. Songdo and its surrounding area are designated as Korea’s first international conference complex. 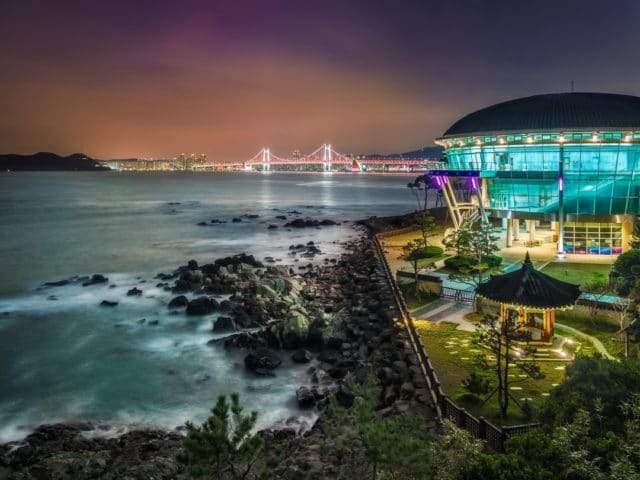 Leading the scene is Songdo Convensia – a stylish, high-tech, and most importantly, a sustainable meeting venue that can accommodate over 2,000 delegates. Recent infrastructure developments also contributed to Incheon’s growing number of MICE events, such as Paradise City, Grand Hyatt Incheon, and an upcoming entertainment complex to be built close to the airport. Befitting its global MICE city distinction, Incheon has hosted several important events including the 6th OECD World Forum and will also be hosting the 2020 ADB Annual Meeting and the Korea MICE Expo, the largest MICE exhibition in Korea. Gyeonggi is also one of the most visited MICE destinations in Korea for global MICE groups for its convenient accessibility which is about an hour’s drive from Incheon International Airport and can be reached in 20~40 minutes between major cities of Gyeonggi and Seoul. In addition, major global companies including Samsung Electronics, LG Display, and Amore Pacific are located in Gyeonggi which makes the province a great destination for industrial tours. Gyeonggi is packed with excellent convention facilities such as KINTEX, the largest convention center in Korea, as well as various unique venues and MICE facilities. In particular, with Suwon Convention Center – planned to in March this year – Gyeonggi is expected to become a hub city for global exhibitions and conventions. Besides, there are various leisure facilities and experience programs groups can enjoy in the region. These include the UNESCO world heritage sites such as Suwon Hwaseong Fortress, Namhansanseong Fortress, Royal Tombs of the Joseon Dynasty, and more.